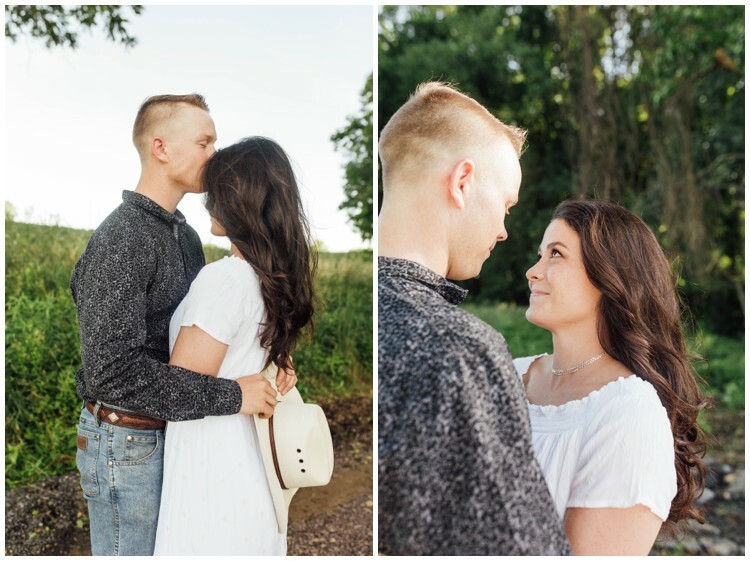 Engagement sessions always seem to pull at my heart strings and remind me why I love to do what I do. 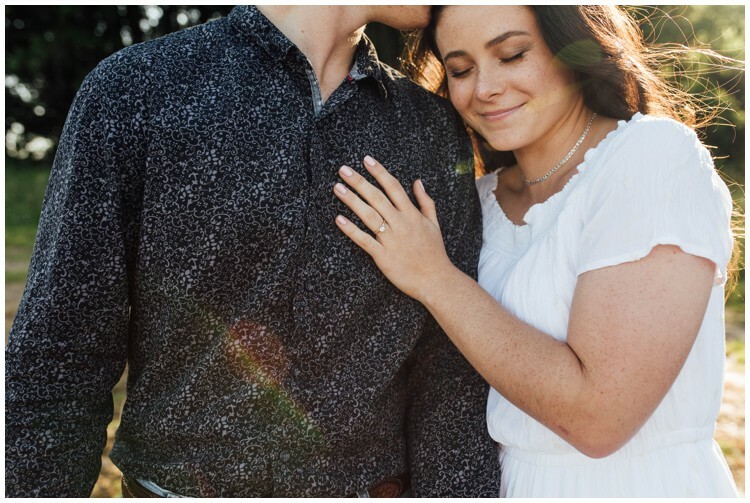 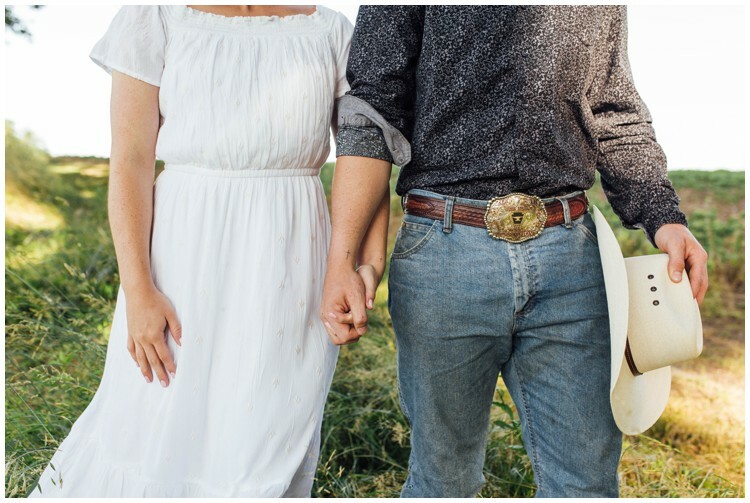 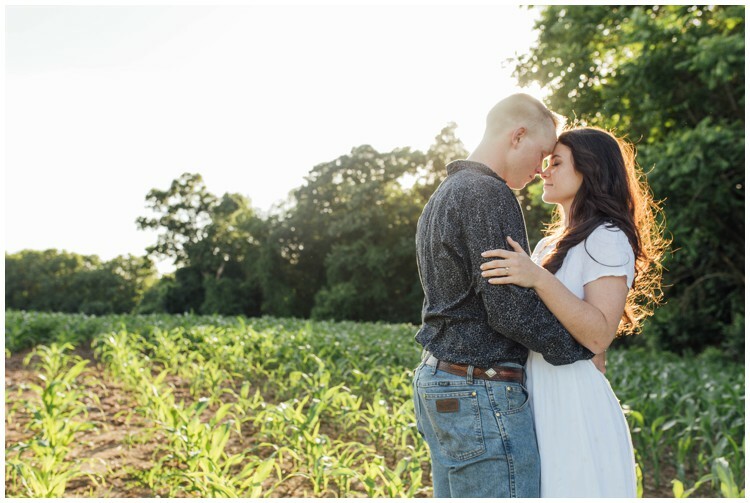 This engagement session was no exception. 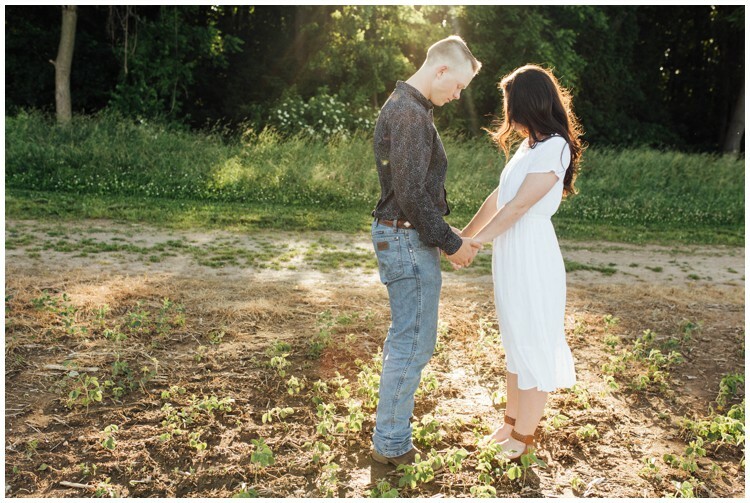 I’ve known Garland for a few years now and have watched him pursue his dreams and his girl. 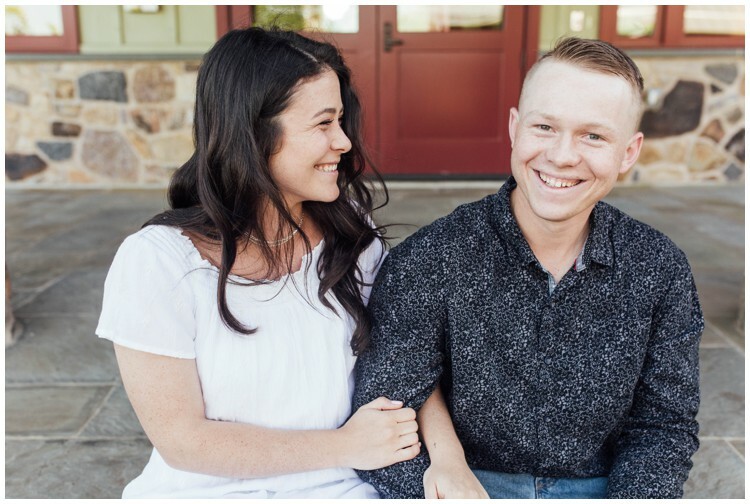 Garland is one of my little brother’s good friends so he was always hanging out at my parents house. 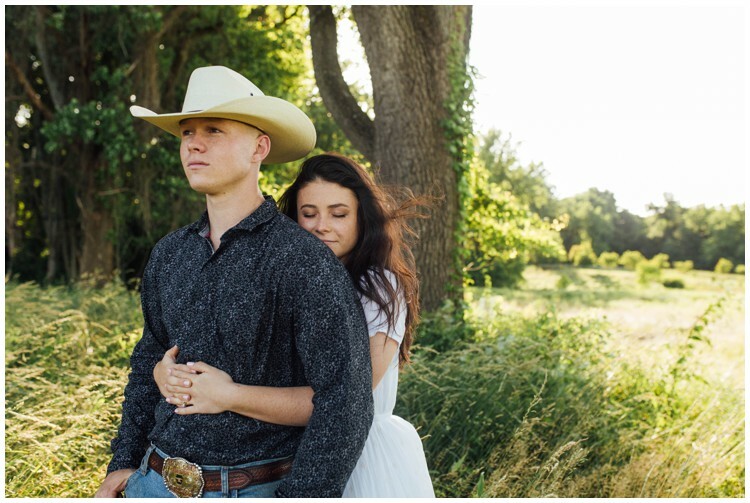 He would always come over for a swim, dinner, or to help my dad with some home project. 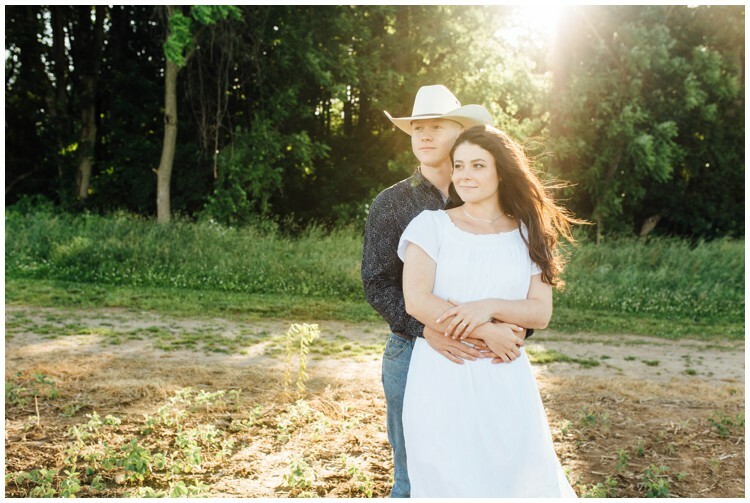 Then he started bringing Megan around and we all began to see him fall in love with this girl. 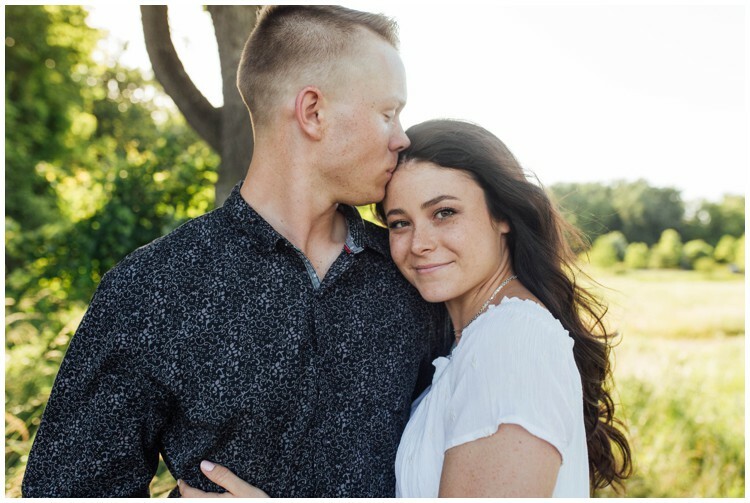 Megan & Garland have a kind of love that I just KNOW is based off of a true friendship. 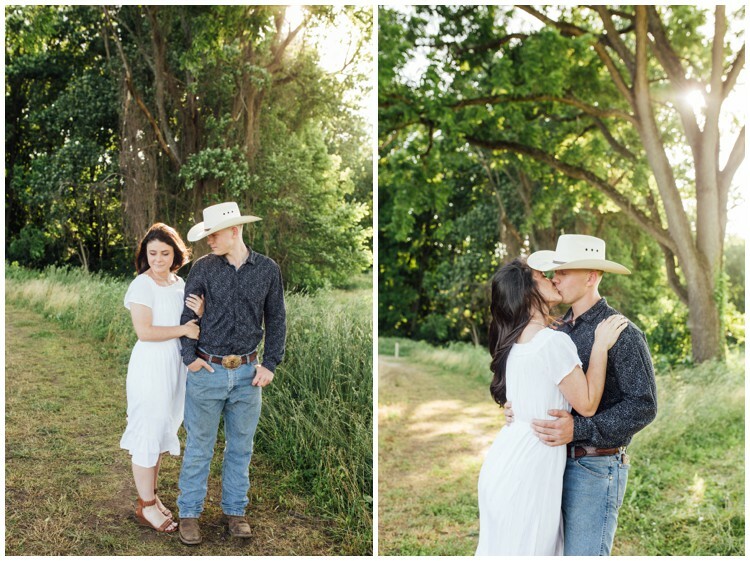 You can just see it in these photos and in the way they interact. 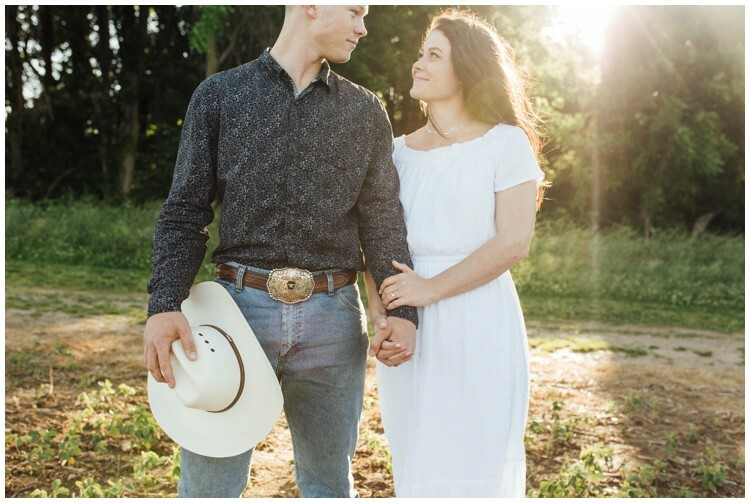 Garland just absolutely adores Megan and would do anything for her; and vice versa. 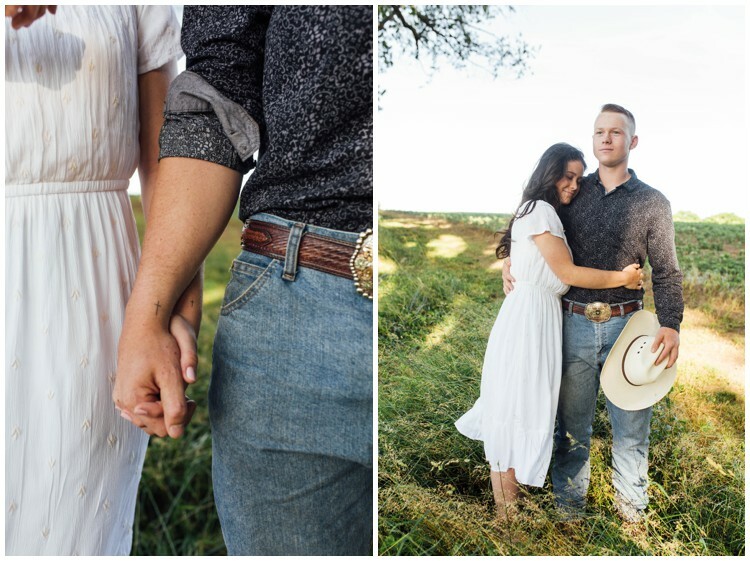 Megan looks at Garland like he is her Knight in Shining Armor. 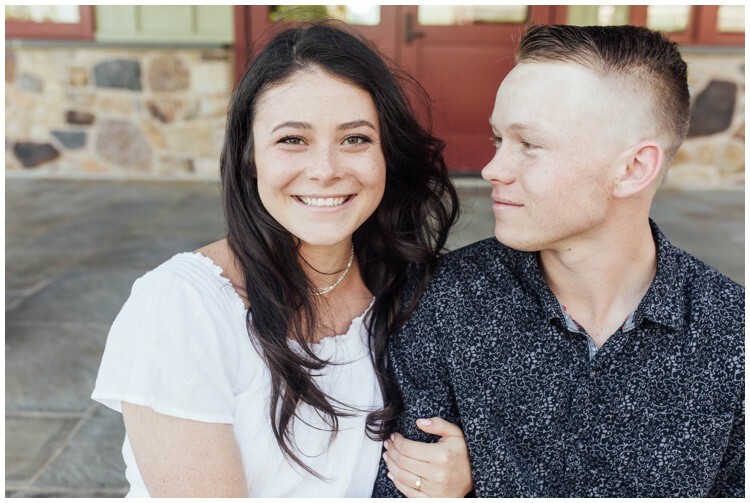 Just that in of itself makes me so obsessed with their relationship! 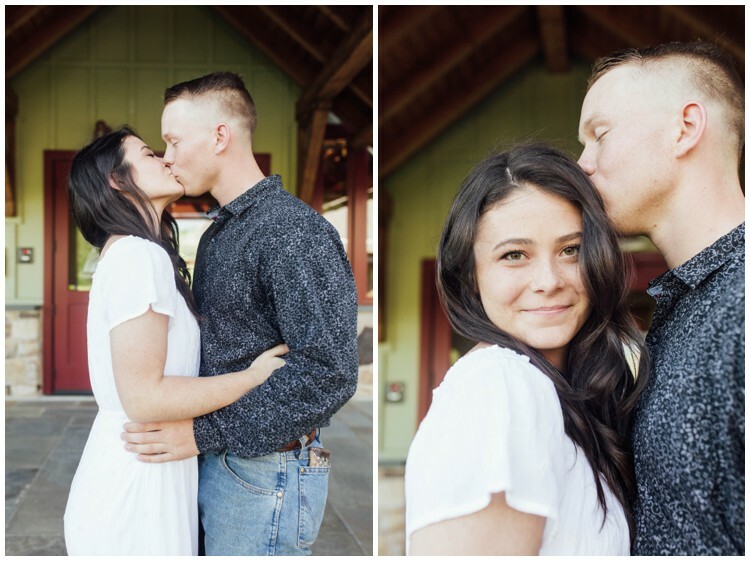 I had such an amazing time with them at Cheslen Preserve, watching them cuddle and laugh with one another! 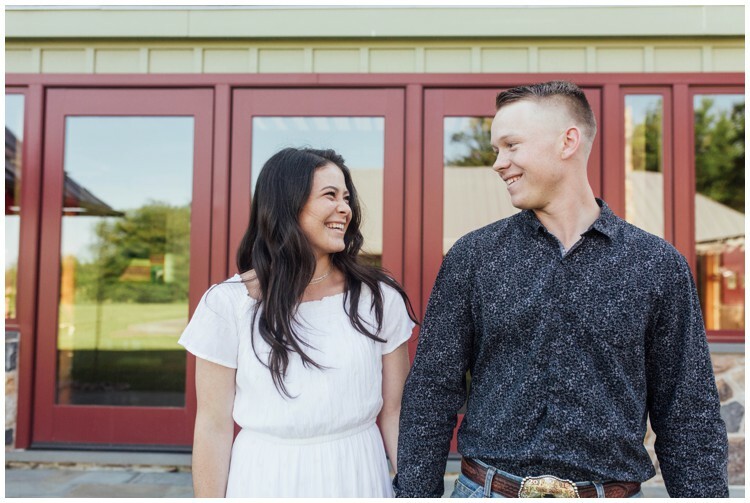 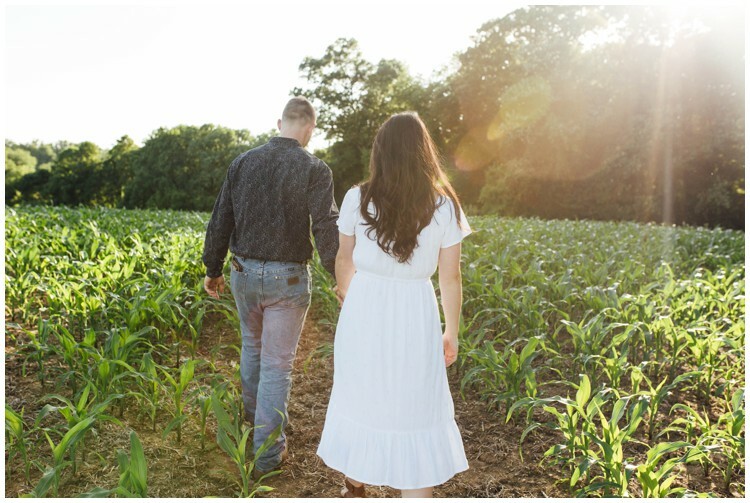 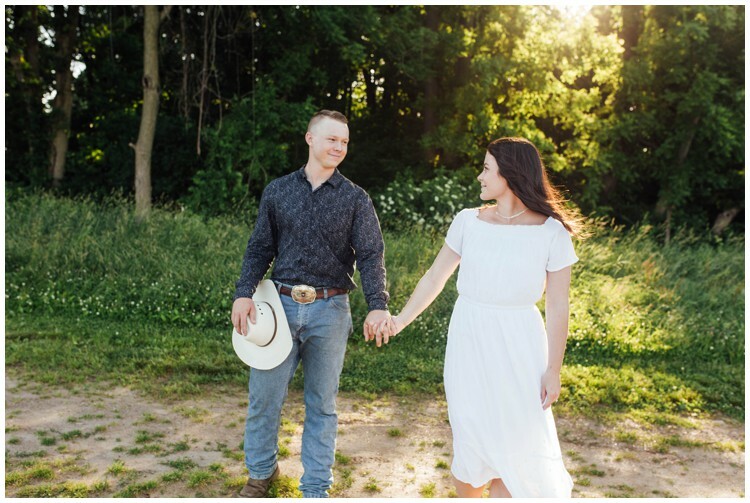 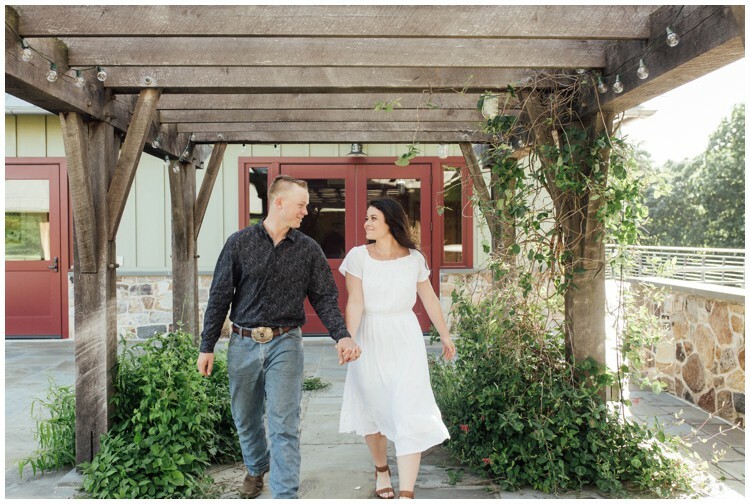 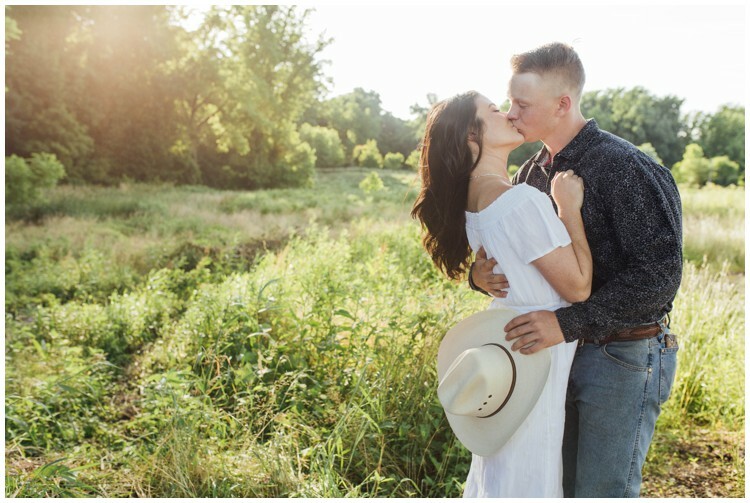 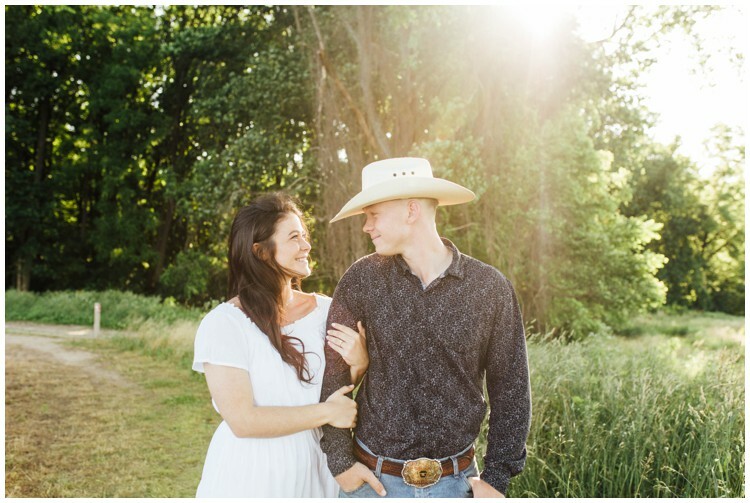 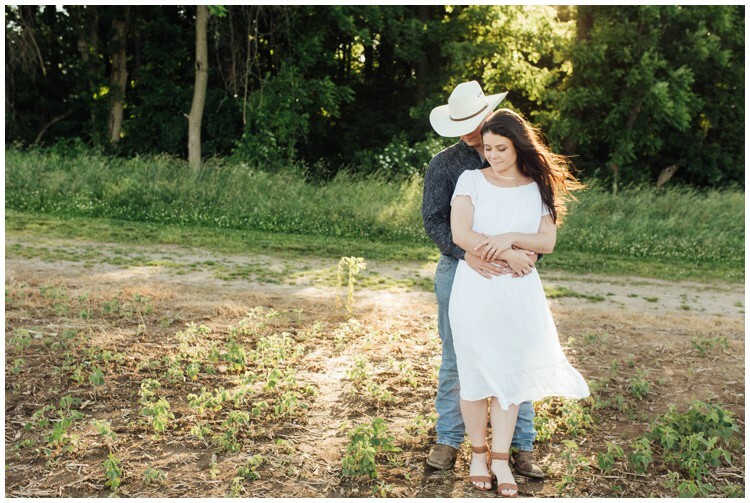 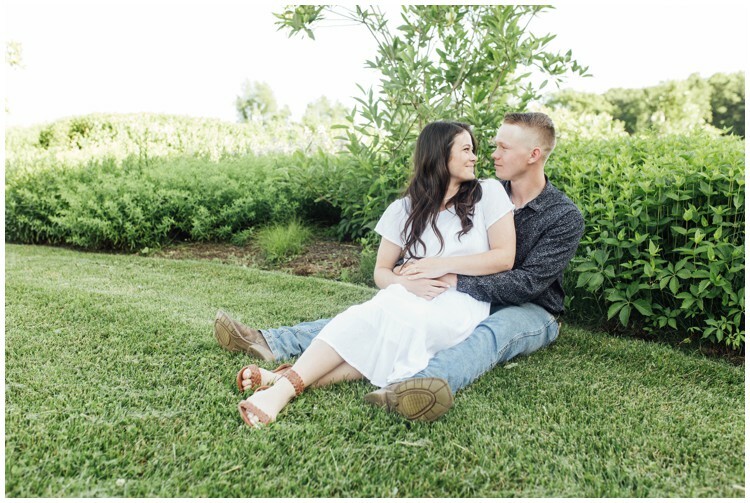 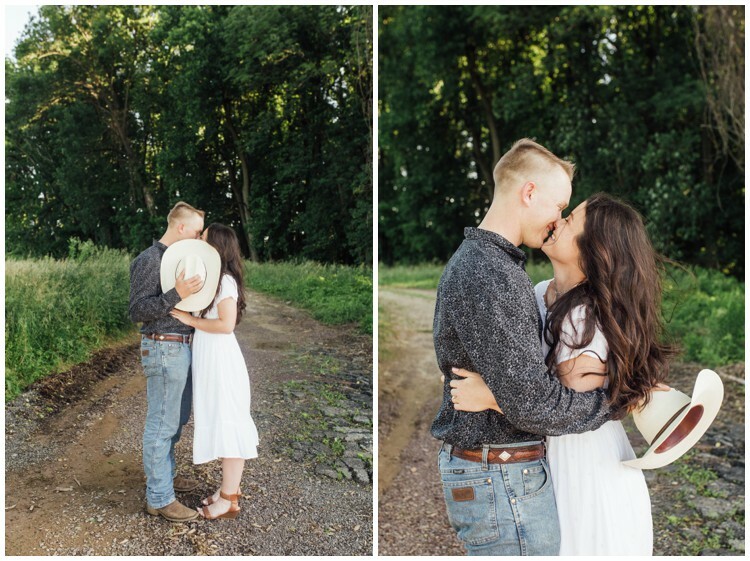 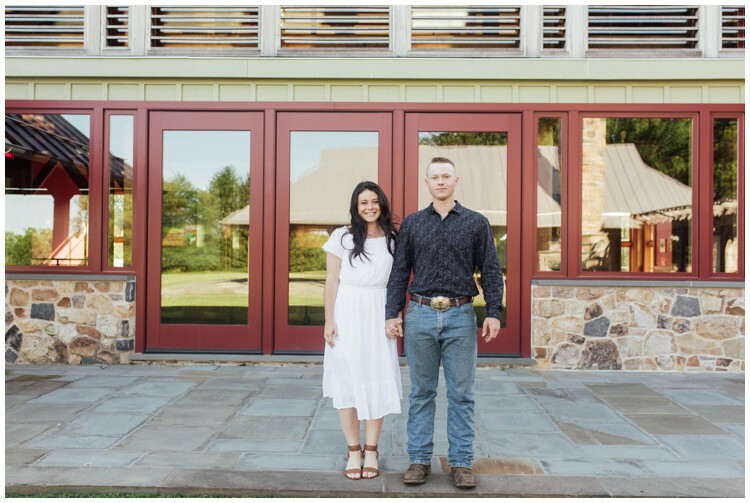 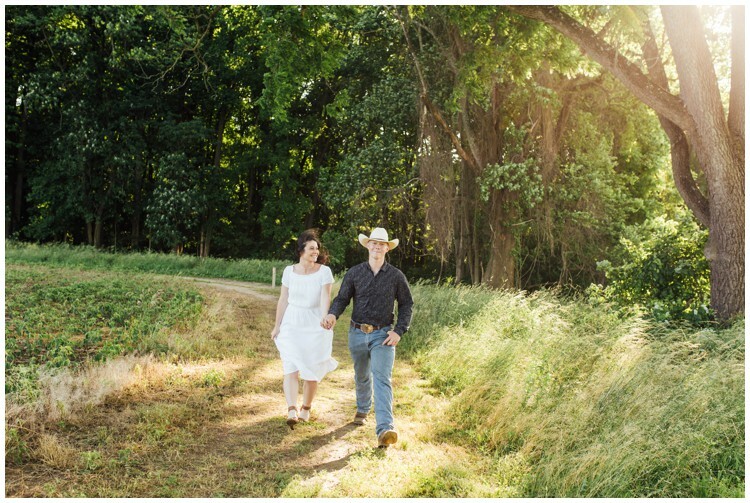 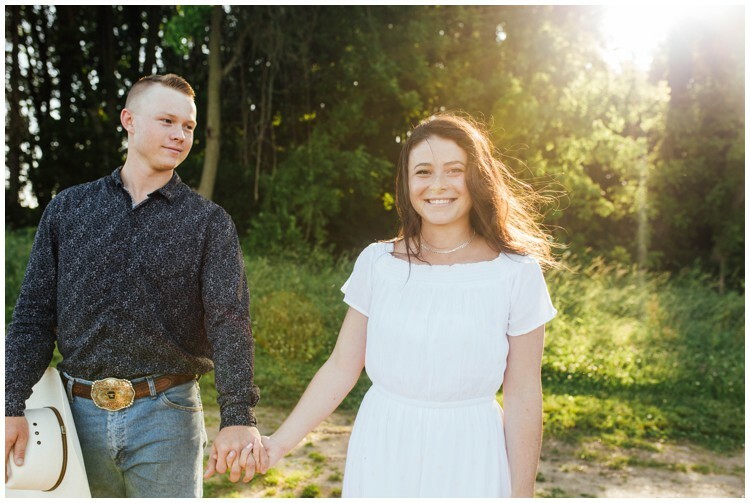 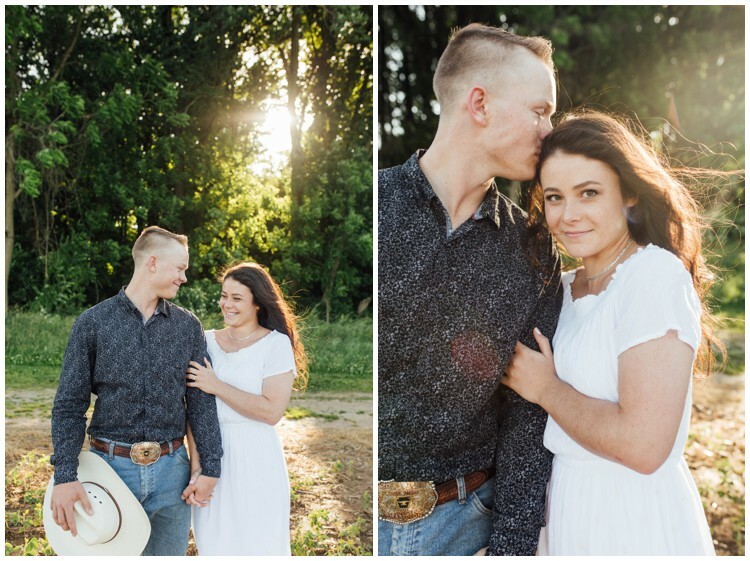 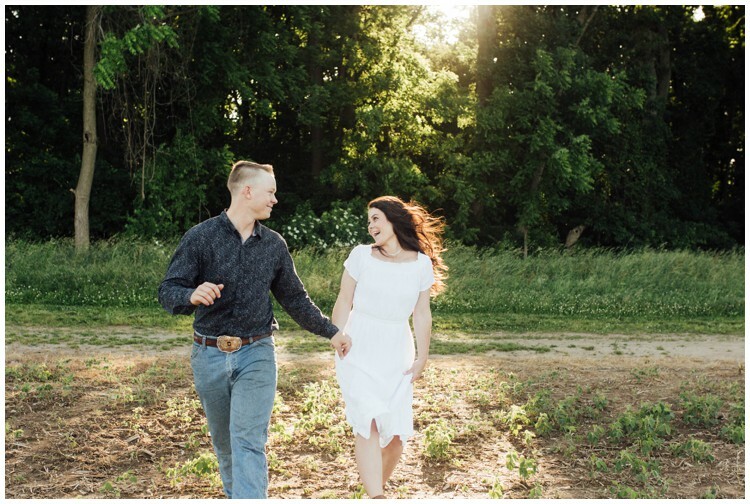 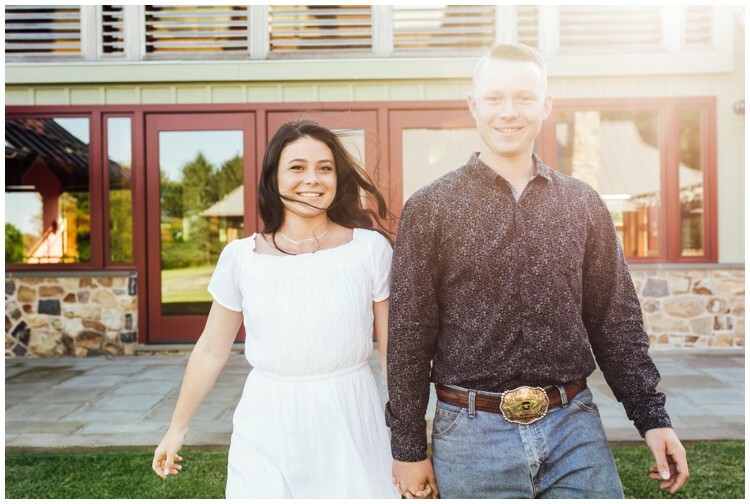 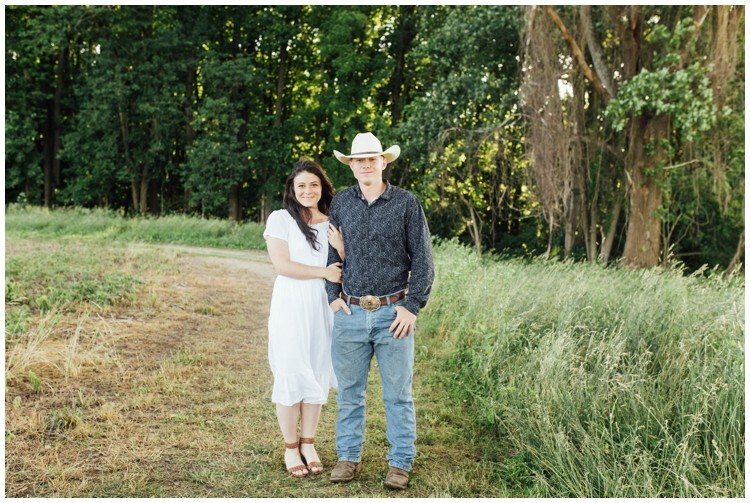 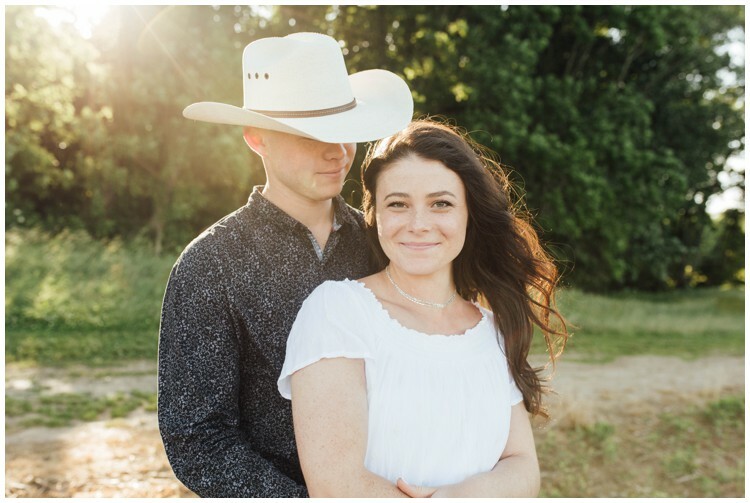 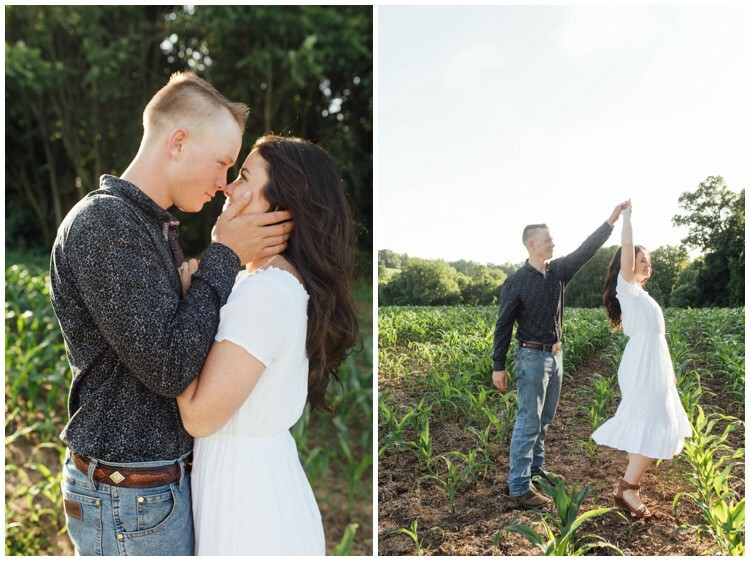 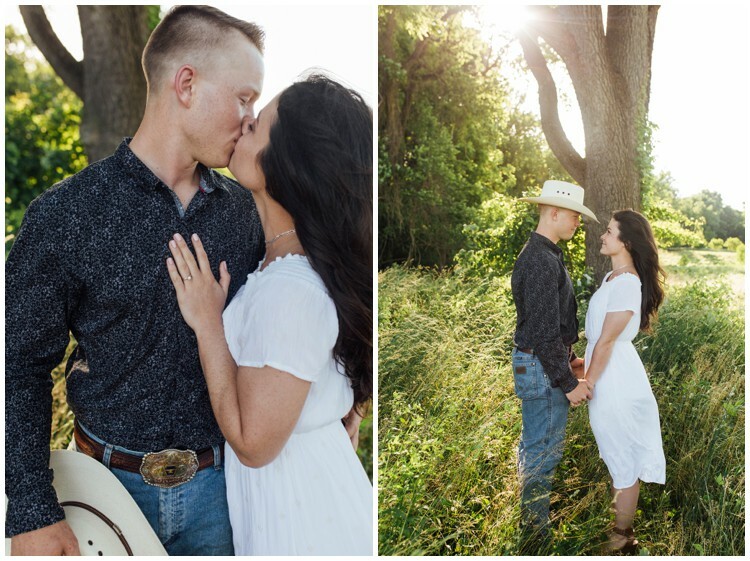 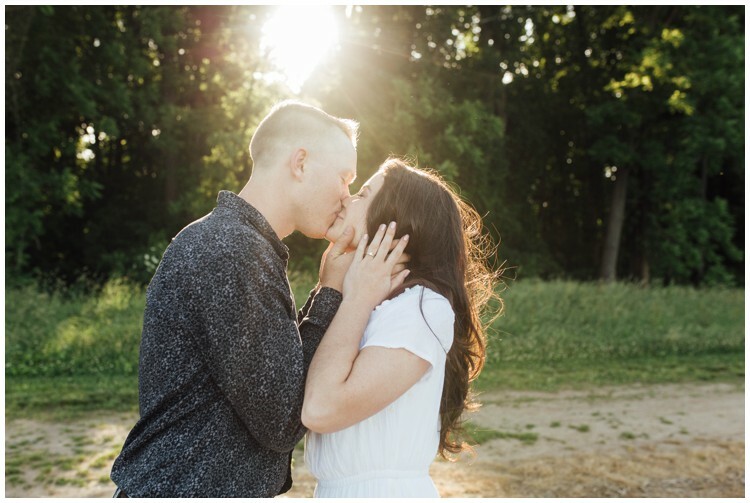 This June evening with its golden light was the perfect setting for their Country engagement session. 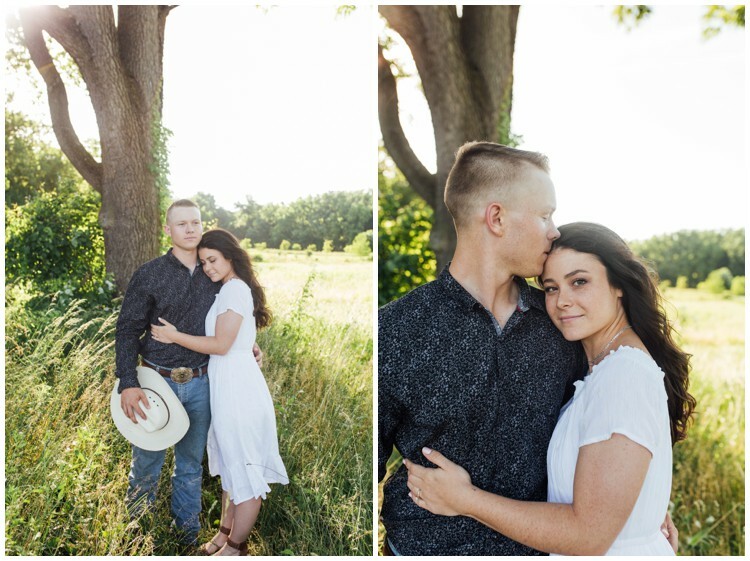 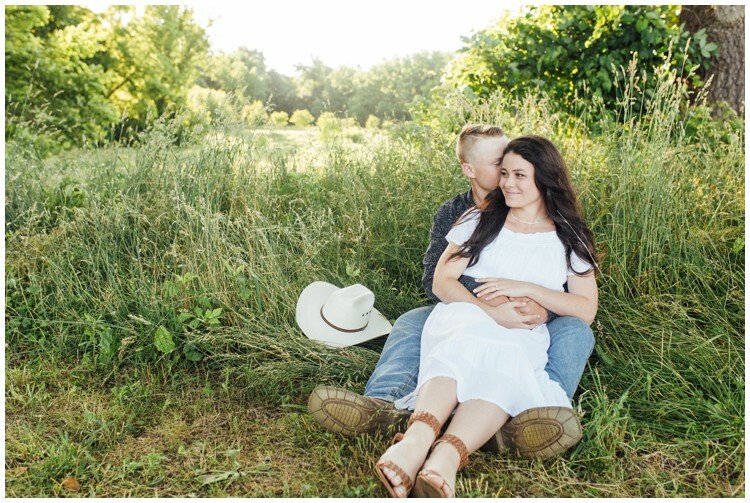 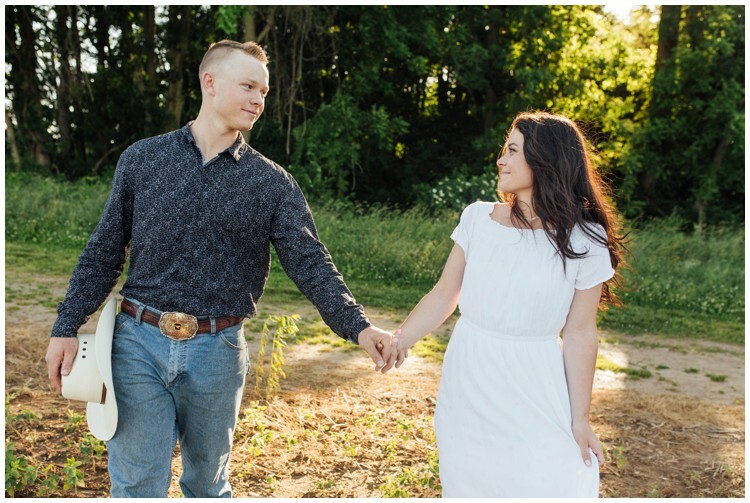 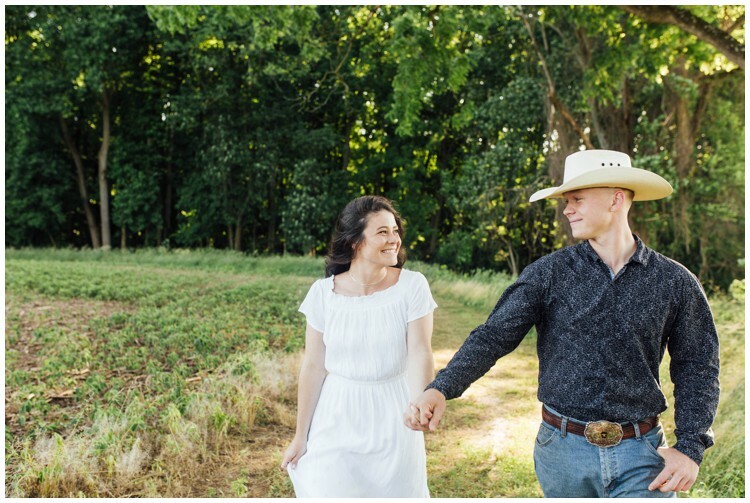 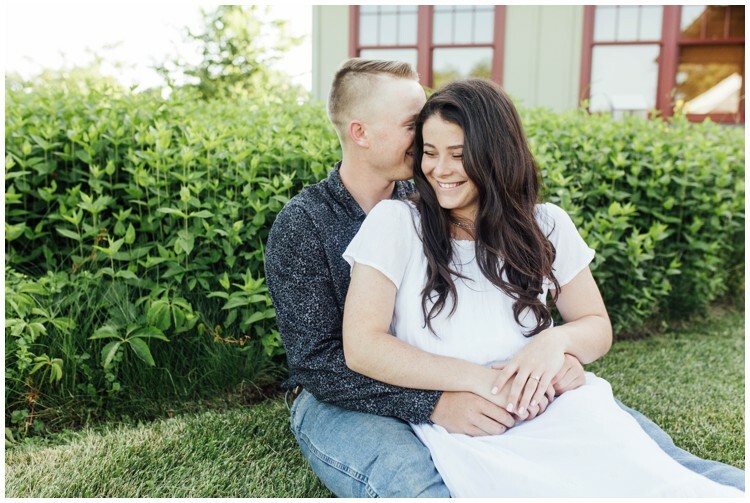 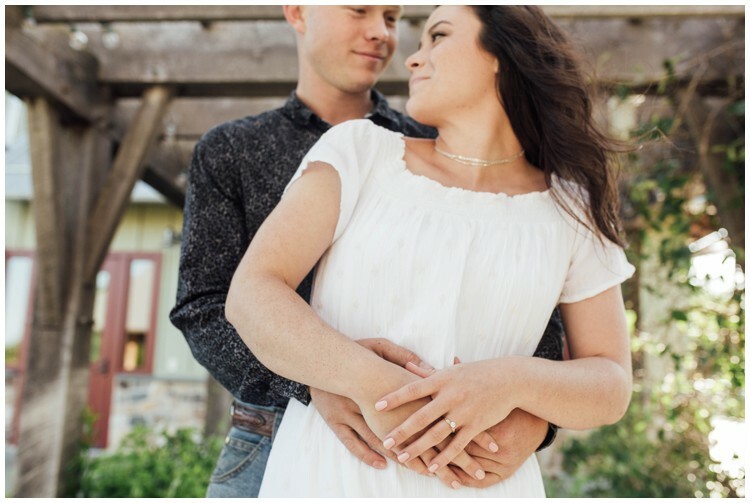 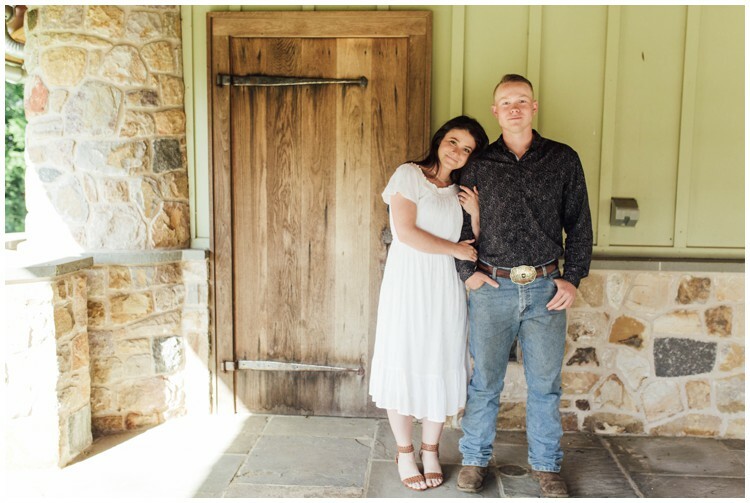 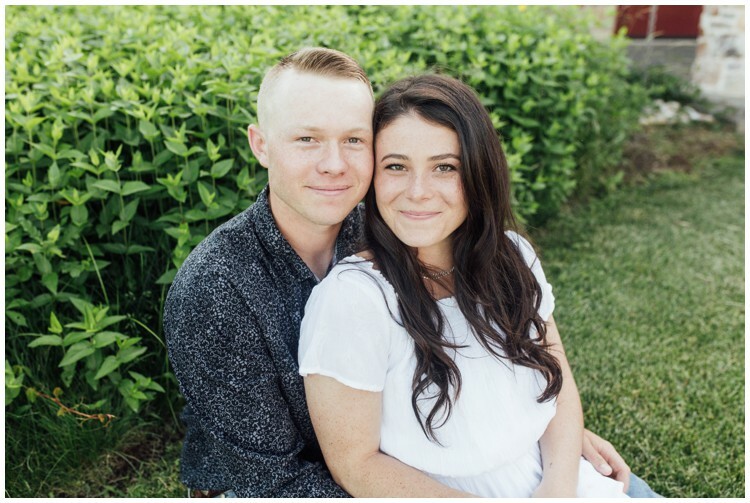 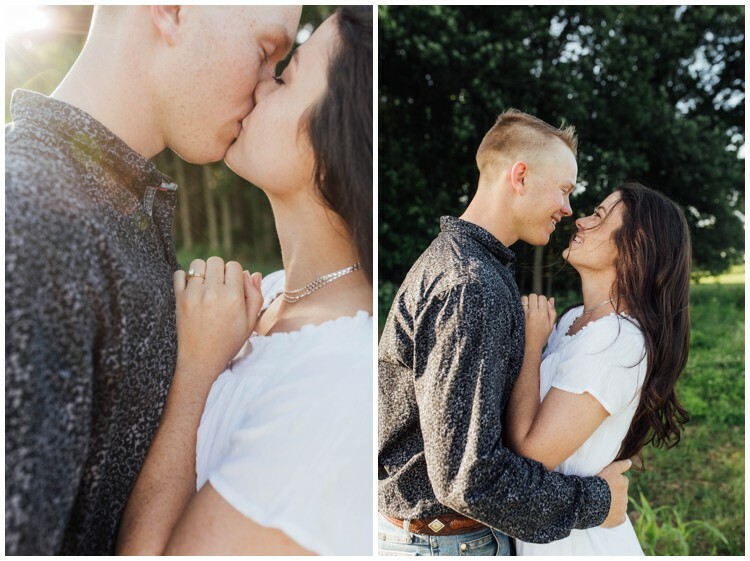 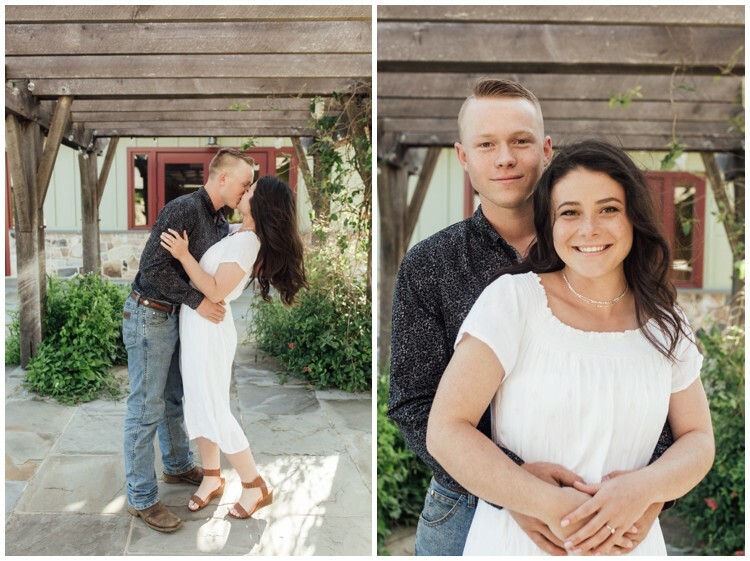 I cannot wait for their December wedding when my husband and I will get to photograph their special day! 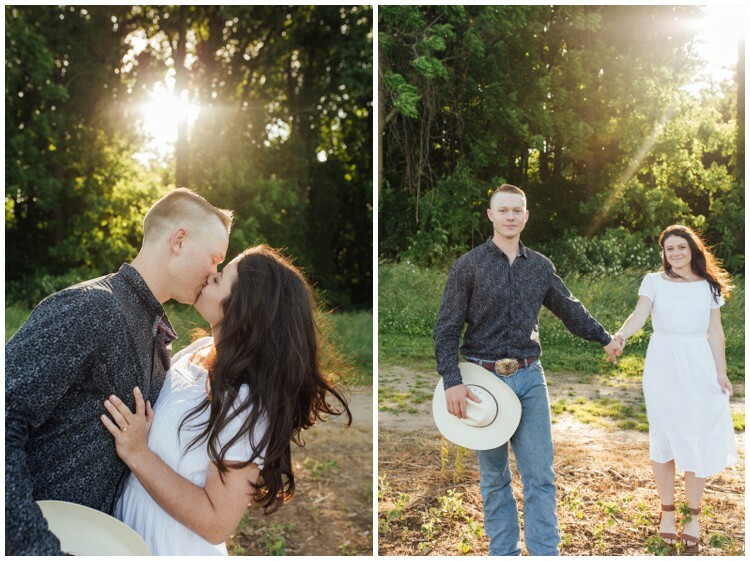 So pretty!! 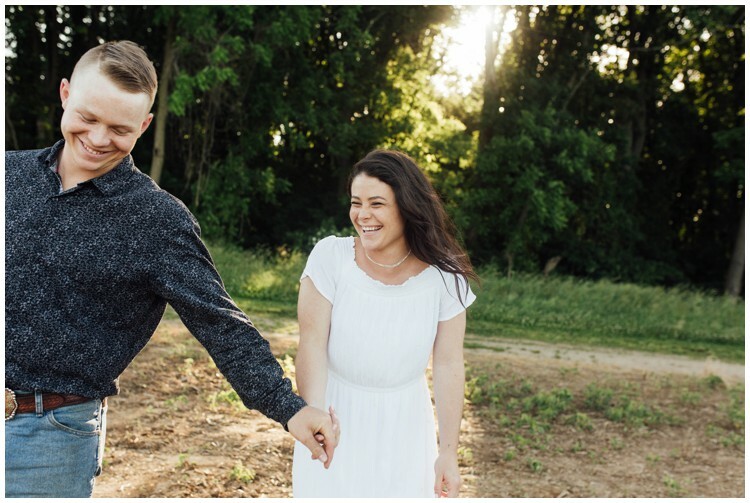 I love the candids!